Rain or shine, you’ll look divine! 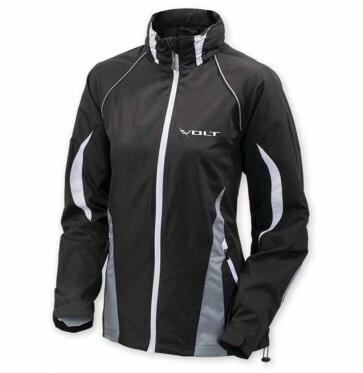 Gray and white inserts give this lightweight polyester jacket a little extra zing, while the water-resistant finish and breathable micro-mesh lining keep you comfy. Detachable hood, adjustable cuffs and zippered pockets to protect your valuables. Volt logo embroidered on left chest. 100% polyester.